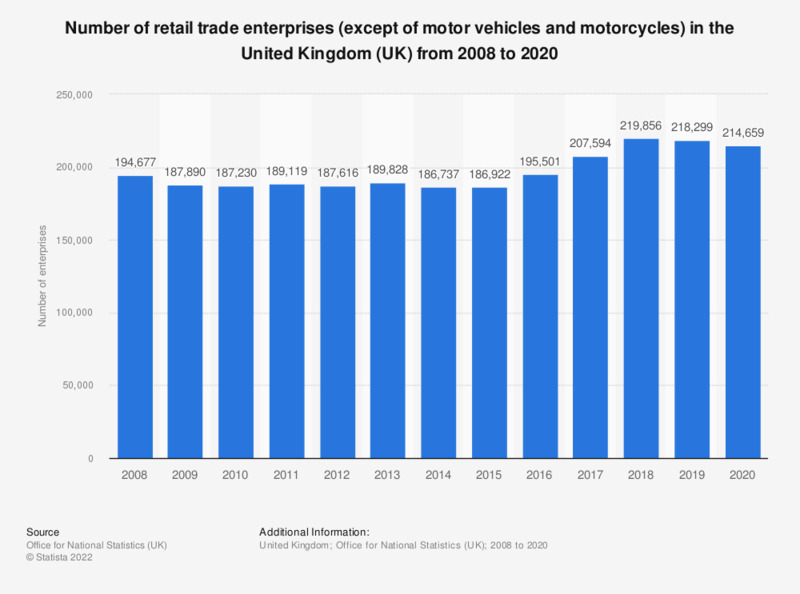 This statistic shows the number of retail trade enterprises, except of motor vehicles and motorcycles in the United Kingdom (UK) from 2008 to 2016. In 2009, there were 187,890 retail trade enterprises in the UK. The statistic shows that the number of retail and trade enterprises stayed relatively stable over the nine year period. In 2016, the highest number was reached, at 195,491.